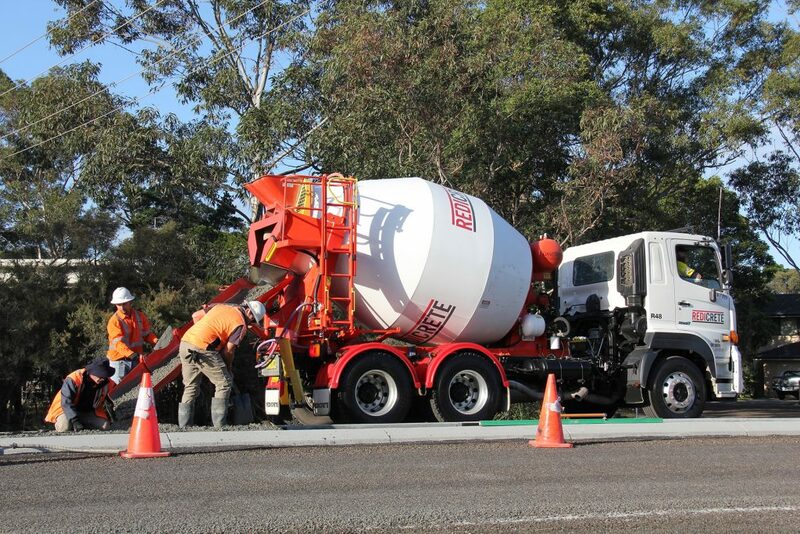 Redicrete recently joined Port Stephens Council in the “war on waste” in the Hunter, by providing a Greencrete mix for trial use at Tanilba Bay. Greencrete looks and performs like normal concrete, however, to reduce waste it uses recycled glass from the community’s households in place of quarried sand and gravel materials. Council’s Capital Works Section Manager Philip Miles says Port Stephens is the first Council in the Hunter to reuse recycled glass in this way. Council elected to trial the new mix in a prominent location to give the community an opportunity to view and provide feedback. With works already being undertaken at Tanilba Bay, it was decided this was the perfect opportunity. Sand content makes up approximately 25% and the trial pour replaced this with recycled glass. Once the recycled glass has gone through the processing it can be used in a concrete mix either as a fine “glass sand” or as a 10mm glass aggregate. This gives the opportunity of using Greencrete as a decorative option as well, by replacing quarry aggregates with the 10mm recycled glass and finishing the process with a polish to smooth out the surface. There are a number of benefits to using Greencrete and we look forward to providing this solution to many businesses and households in the future as part of our contribution to the war on waste. For more information, contact us via phone or email.